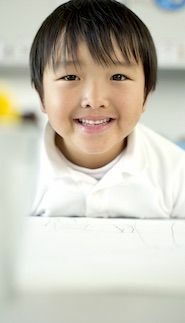 Our teachers, our touchstones, and our transformative approach inspire children for the rest of their lives. Our faculty members are recognized by parents year after year for their extraordinary ability to engage each individual child in adventurous education. Committed to a shared vision of respect and responsibility, our strong Shore community is united in its dedication to the growth of every child. The arts, design, and engineering are at the heart of the Shore education, and in the Center for Creativity, students, faculty, parents, and visitors explore ideas that cross all academic boundaries. Just as much as academic achievement, the Shore education emphasizes emotional growth, social responsibility, and the well-being of the whole child. Our teachers, our touchstones, and our transformative approach prepare students for exceptional success in secondary school—and for the rest of their lives. 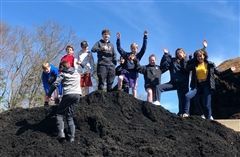 Students toured the farm in Hamilton and explored what happens to compostable waste from Shore's Dining Hall. Six Shore authors were among the 21 finalists in the Beverly Public Library's 23rd Annual Teen Poetry Contest. 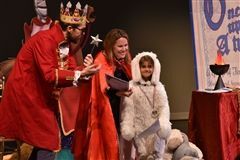 First grade students dressed as favorite fictional charaters were joined by their parents for the annual Budding Bibliophiles Ball on April 4. 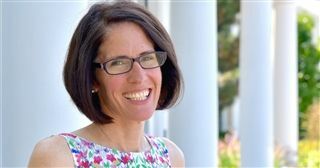 Head of Lower School Sara Knox explains some of the most important components of Shore’s Responsive Classroom approach to social-emotional learning. Each school year, Shore students, parents, faculty, and staff sign an agreement to abide by the Shore Community Code. The shared understanding created through this simple action underscores the most distinguishing aspect of Shore: our vital, passionate, instinctive dedication to community. Beginning in our Pre-K and Kindergarten classrooms and continuing through Grade 9 discussions around the Harkness table, Shore faculty work to inspire independence, creativity, and the spirit of inquiry in every child. Grounded in the liberal arts, Shore’s program nurtures learners who take charge of their own education, who relish the exchange of ideas, and who leap at the opportunity to take risks - all in the knowledge that they are supported by a community dedicated equally to their success and to their happiness. The focus of Shore’s 17-acre campus is the flagship Center for Creativity, a state-of-the-art facility that houses the two-story Innovation Lab and the university-quality 375-seat Trustey Family Theatre. Other highlights include the historic Winslow Building, the modern Dining Hall (including our certified nut-free kitchen), the Rock Gym with 30-foot climbing wall, and the Lower School classrooms that exit directly to sports fields and play areas for physical activity year-round. The newest addition to our campus is dedicated outdoor learning spaces that inspire hands-on exploration and play. "She is a terrific addition to our American literature class due to her incredible work ethic and passionate engagement. At the Harkness table, she is our strongest participant, asking thoughtful questions of her peers and displaying keen insight into our readings." "We love Shore; it's really become a family for us! This is a mature organization that respects and nurtures children and values its staff." "Perhaps to an even greater extent than my high school, Shore transformed me from a child with big dreams into a student, athlete, and person with the skills and the drive to achieve them." "One thing I appreciate about Shore is that right from the start, teachers help children become comfortable expressing themselves in front of a crowd. Every time my kindergarten daughter gets up on stage, I credit Shore for giving her that courage." "The discussions I had around a Harkness table at Shore really made me re-examine the initial ideas I might have had on a topic. When you hear someone else’s opinion, you realize there is always more than one side to the story." "The beauty in Shore’s Center for Creativity is that kids are given so many opportunities to design, to build, and to perform—and not just on their own, but collaboratively, so they can push each other to create something even more powerful." "I never intended to find one school that would serve all four of our boys: they are so different socially, academically, in every way. But somehow, Shore fits them all." "It may sound cheesy, but what you can do here is amazing. If it’s not offered, you can create an independent study. At Shore, you can do basically anything." "I love that at Shore, sports aren't second-class citizens; they're a part of the package, right alongside the exceptional academics and arts programs." We invite you to visit us - there’s so much more to discover. Tours and conversations help us learn about your child and understand your goals for her or his education. Shore Country Day School is a Pre-K through Grade 9 coeducational day school located in Beverly, MA. With its emphasis on conceptual, integrated, and creative learning, Shore offers a challenging and stimulating experience for all our students. 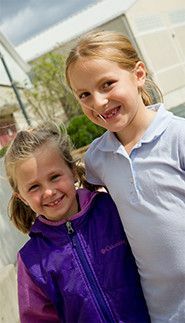 We recognize the various developmental stages of children as they grow - from Pre-K and the elementary grades to middle and high school - and working in partnership with our families, Shore encourages academic, personal, creative, and physical development consistent with each child's potential. 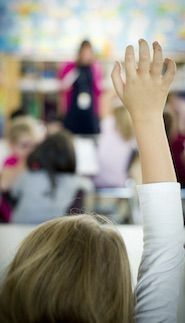 Shore Country Day School's mission is to provide an education that inspires a love of learning and encourages children to embrace academic challenge. We seek to build character, cultivate creativity, and value diversity as we help our children become healthy, compassionate citizens of the world.